Stitches: ch, dc, sc, sl st.
R1: Ch14, sl st in the 2nd ch from the hook. Join with a sl st in the same ch as the 1st dc was worked. 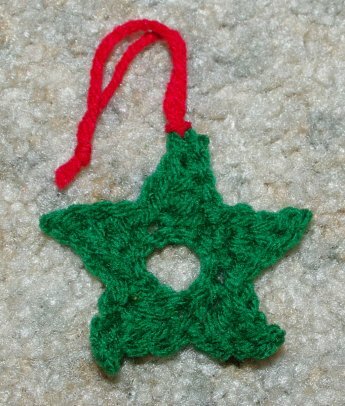 Add a hanger using the red yarn and a star is born! You can make these any color.